I’ve made no secret of the fact that I’ve loved this fragrance for years now and missed it when I tried using another one. It just wasn’t the same. Didn’t have that same kick to the senses that the original had, at least for me. It was inevitable that I’d return to my roots and go with the fragrance Boston Tea Party from Nature’s Garden. This version from NG is hands down, my favourite of all the tea scents out there today. There’s a very nice White Tea – light, wispy, ethereal from Wholesale Supplies Plus as well that makes a fantastic blender for other fragrances if you’re looking for that extra something to go with herbal notes or some green stemmy notes alongside the florals, this is a good one to try. I’ve used it with some other fragrance oils with a great soap as the end result, so give these a whirl and see for yourself how fresh, uplifting and refreshing they are! I opted to use the hemp milk this time around for the batch made yesterday (Feb 19th), mixed the colloidal oatmeal into it and let it set up for a day or so to soften the oatmeal up a bit then used a new blend of 6 oils, Vitamin E, Tussah silk and some stunning colours from The Conservatorie. 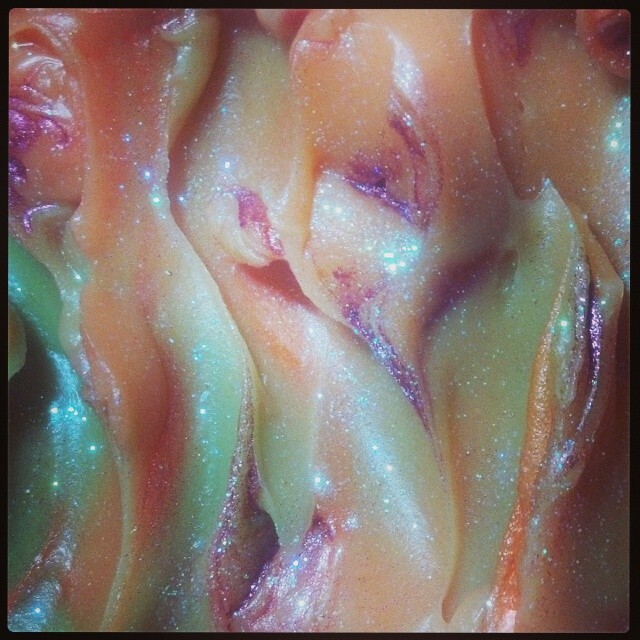 The colours were the exact same ones I’ve used before for this particular soap, opted to not use any embeds as were used in the first batch of this soap, and used Celestial Sun glitter in a light sprinkling across the top after the swirls were done. No peaks were made. This fragrance oil has absolutely no gremlins attached to it. 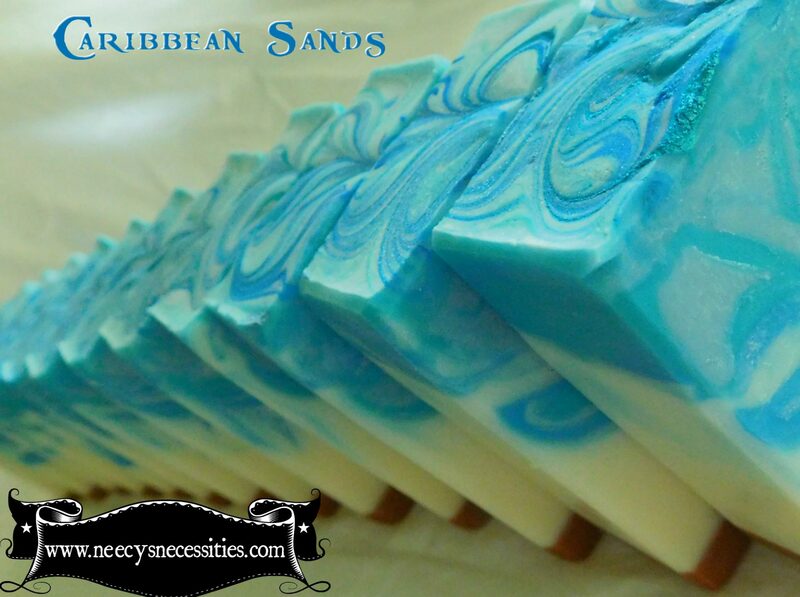 It kept the soap beautifully thin throughout the whole time I was working on the pour and the swirling. It actually took quite a while for me to be able to do the tops so they’d stay somewhat rippled at least a little bit. I wouldn’t go so far as to say that it thins out your soaps. I think it was mainly the oils I used that kept it loose and flowing smoothly. I’d use this blend of oils again in a heartbeat in another batch and likely will use it with the mens fragrance Prime from soapmakingfragranceoils.com to see how that one holds up under cold process’s high pH, swirling, etc. So I leave you now with the images of the soap after it was poured, both before and after the swirling done to the top, as well as the cut view. Before the swirling on the top. and last but not least , the cut view. Every one’s a winner! Soap making is alchemy at its most useful and beneficial. We take two entirely different things, combine them, and magic happens. The results is an end product that’s both useful, beneficial and more often than not, it’s pretty to look at and feels terrific on the skin. There’s nothing sexier than soft, silky, sweet-smelling skin! 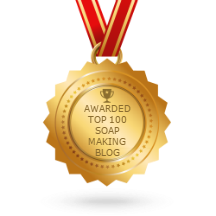 We soap makers have this knowledge feeding our need to be creative, giving us justification to obsessively make, create, and develop to our hearts content, but sometimes, just sometimes, we think, what else is out there that I can use in my soaps to give it that little something extra? Then there’s the ingredients that go into soaps. Some like it hot, others like it cold. I like cold process because it’s more fun to play with it and make it something special rather than something ready to use within a week, two at most. I’d take that trade-off any old day. So, the basic ingredients are relatively consistent across the board with regard to oils and liquids. Both are necessary to make soap and lye, no matter which way you shake it, must be in the recipe to make genuine real soap. No lye, no soap. The liquids can be varied so long as they’re liquid and not too heavily acidic as it can interfere with the saponification process. 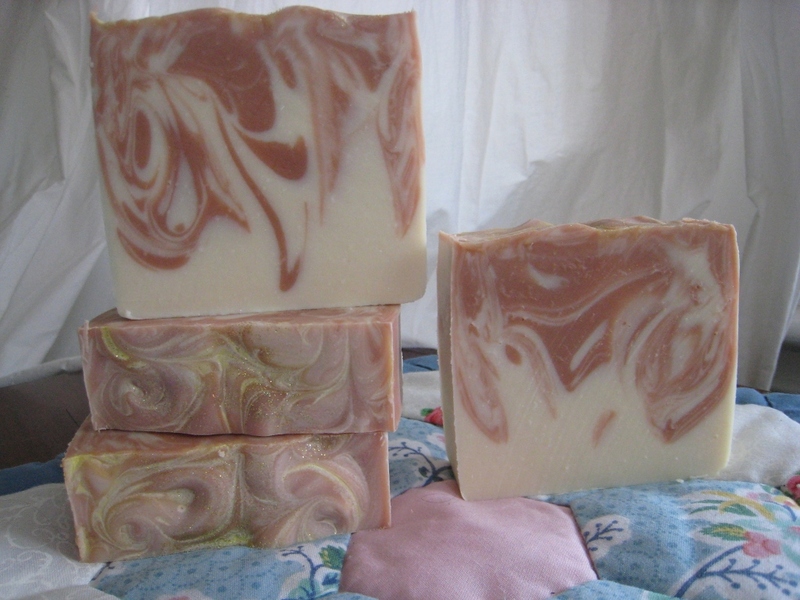 I’ve even heard some soapmakers using vinegar in their soaps and they’ve said the soap turned out just fine! That was interesting to hear and learn about, but I haven’t tried that yet, so I can’t say firsthand how well it worked out. I’ll go into other forms of liquids at a later date. The focus here and for the next few posts will be on oils. Different oils. Today’s oil, not one I’ve seen used in other soapers’ products too often intrigued me because I didn’t realize there was an oil produced from watermelons, since they’re more than 90% water, it just didn’t dawn on me to look beyond the edible parts and seek out the seeds for the source. Shows how things can change when you think outside your given field of vision. But yes, it will create an oil. 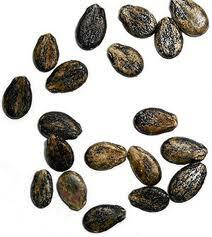 Watermelon seeds, often in two colours, a mottled black and brown in appearance are the mature seeds while the white ones are the immature ones. The larger, darker ones will provide more oils. The oils, attained by pressing the seeds, is a golden yellow colour and contains none of that classic juicy watery watermelon scent that’s so beloved by all. Watermelon’s INCI name, Citrullus vulgaris, is often known as Ootanga or Kalahari oil and possibly sprang from the Kalahari Desert region of western Africa around 5,000 years go. They slowly made their way northward towards Egypt and were later cultivated by the Romans. Traditionally, to obtain the oils the outer casing was removed and the softer pale centers were toasted in the hot sun. Once dried, the seeds were pressed and the oils collected. The oil attained from this pressing is high in Linoleic acid and is also very high in Omega 6 and 9 fatty acids. The linoleic acid helps to remove the excess oils as you cleanse with products created from this oil as well as to wash away the excess oil built up in your pores. This make Watermelon Seed Oil the ideal candidate for use in facial bars and washes. Liquid soap, too, would be a perfect application for this oil! This oil could be mixed with others that are slightly heavier and/or thicker in order to extend their shelf life since Watermelon Seed Oil has an excellent shelf life. (Try nearly indefinite if stored properly!) With its natural lightweight characteristic, it’s ideal for use in baby creams, facial lotions, balms, ointments, salves, eye creams and liquid soaps, in addition to being the ideal oil for use in massage oils. When used in massage oils, creams, or lotions, it disappears quickly, being readily absorbed into the skin, making it perfect for a light summer lotion for after tanning, when a light moisturizing application is needed, or anytime since it’s not going to leave you feeling greasy or sticky afterwards. This feature was the biggest selling point for me because I don’t like the way tapioca, arrowroot powder or other powders feel in lotions. It leaves a dusty feeling on my hands later after the oil part of the lotion has sunken in. Have I sold you on the beauty to be found from the use of this marvelously beneficial and versatile oil yet? You can find Watermelon Seed Oil here. Given all the positive attributes Watermelon Seed oil has going for it, it would work perfectly as a naturally softening, moisturizing & soothing part of a silky lotion, so I’ll try it in a batch soon with another oil to see how it compares to the one I currently make all the time. My regular lotion recipe uses Golden Jojoba oil and Peach Kernel oil and there’s absolutely no greasy after-feel left behind once it’s been taken in my the skin. And there’s no powder added at all, so it’ll be hard to beat that formula, but I really want to add some diverse formulations to our collection of creams & lotions, so this will likely be a good one for a summer formulation. But it also will be appearing in soaps in the future too! It was sliced into samples for inclusion into our samplers, leaving still plenty of full sized bars for those who know the scent and love it. It was quite a surprise to find the smoothness of the interior compared to what it looks like with a knife slicing it as opposed to the wire cutter. Additionally, there’s also a pinkish rim around the entire outside surface, which signals to me that oxidation took place. The interior was a smooth, soothing creamy-ivory yellow shade. Only time will tell if it will oxidize to the peachy-pink shade of the exterior. Still not that bad after all. There are are pockets as was expected, though not as bad as one might’ve thought. And another nice surprise was the tiny flecks of the pear from the pureed pear in the bar. If it goes peachy-pink, I’m not sure how well those tiny flecks will show up. I don’t see many on the surface. but all in all, it wasn’t such a terrible bar after all! It’s sensational to smell to be sure, though! Mouthwatering! Samples with oxidization rim around the outside edges and around air pockets inside. The colours are muted, but still eye catching. The pear flecks can be seen here. I began with the best of intentions. Right there with that one statement, you know this isn’t going to turn out as it was originally planned. You’re right about that, but only in a manner of speaking. No, it didn’t turn out looking like I’d originally planned. When changing a recipe that wasn’t lacking fo anything to begin with, adding something that will tip the scales one way or another, you know that things aren’t going to go as they did with the previous batch. I used the same fragrance oil, Orchard Pear from soapmakingfragranceoils.com, which is an absolutely scrumptious scent. It literally makes your mouth water when you catch a breath of it nearby. It’s summertime in a bottle! So I thought with the champagne already in there, how could I make it even better. Bad idea. I decided to try adding a bit of pureed pears, courtesy of baby food. No extra things added to that, so how could anything go wrong, right? Huh! Well, everything was clicking along as usual, measured out the oils, slightly heated to Coconut oil to melt it, mixed all oils together, added a bit of the oil to separate pots to mix the micas with first. Added the softened colloidal oatmeal & coconut milk to the oils remaining in the soaping pot. Added the FO to everything proportionally. Had the mold sitting nearby. Once the lye went into the oils, it was blended in to get it thoroughly blended. Okay, so far, so good. Then divided it up and stirred – with a spoon, mind you, in each of the pots to blend the colours into the soap evenly. and BAM! Thick and getting thicker by the second! By the time the full amount of soap batter, in all their various colours had been plopped into the mold and a desperate attempt was made to twirl things around a bit, it was sesriously too thick to do anything with other than pray for mercy. Heat started building and it was tangible from a few inches above the mold! It seemed pointless to try to stop gel because it would only create that horrific bulls-eye partial gel I hate so much, so I let it run through that phase to see where it would end up. The colours that had begun so nicely, a soft green and a bit of a subtle, sunset peach & red blend began to slowly fade until they were barely discernible one from another. I wanted to cry. It smelled so sweet, juicy, almost delicious, but it looked bland – ordinary, colorless, and blah! It just devastated me. I love this soap and love how it feels in my hands, or in the shower, but this is NOT what I was shooting for at all in looks. So there are still a few bubbles in there, which was the least of the problems, but the tops were the prettiest part of this batch. You really can’t tell one colour from the other in the centers of the bars. It was discouraging. 4) do not combine champagne, wine, ale, beer, or other spirits in your soaps along with pureed foods without adding extra liquid to prevent the acceleration from being uncontrollable.